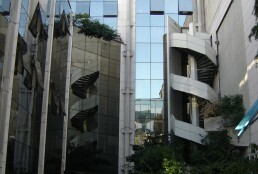 The property, located at the address municipally known as 40, rue des Jeûneurs, 75002 Paris, is a seven-story 50,407 square foot (4,683 square metre) office building with accompanying parking that was originally constructed in 1890 but has undergone ongoing renovations since 2006. 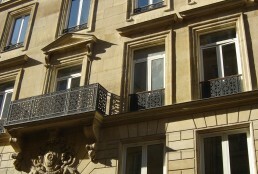 It is situated in the central business district of Paris and is easily accessible by metro stations and bus lines. The property is currently fully leased to the National Conservatory of Arts and Crafts, a doctoral degree-granting higher education establishment operated and guaranteed by the French government. The 151 parking spaces are leased to various entities and individuals. Inovalis has managed the property since December 22, 2006.